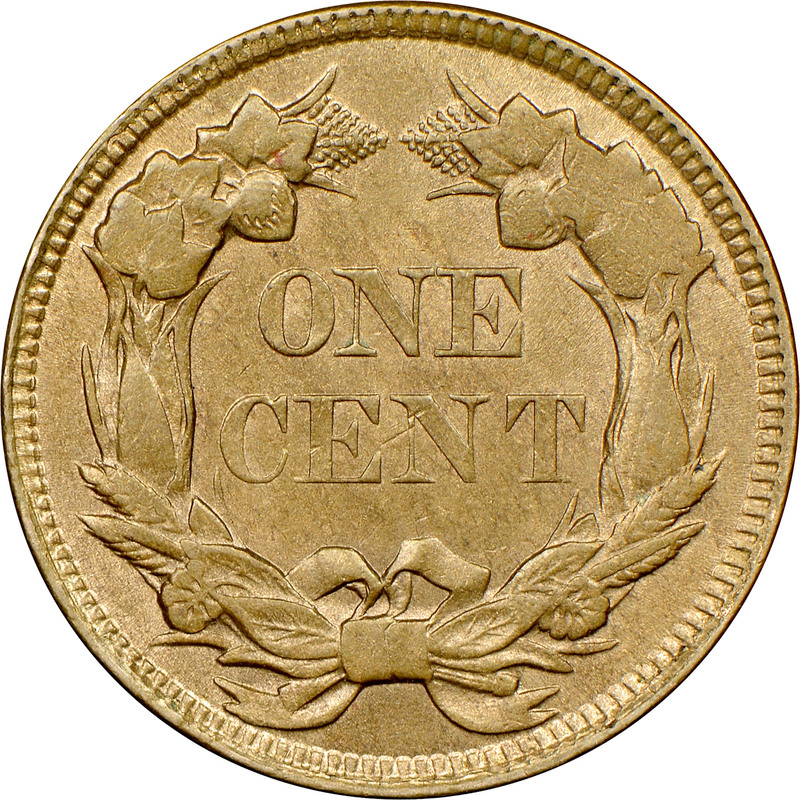 The NGC Universal ID is a four digit alphanumeric that groups coins based on a unique combination of date, mintmark, denomination and striking process (MS, PF, or SP). 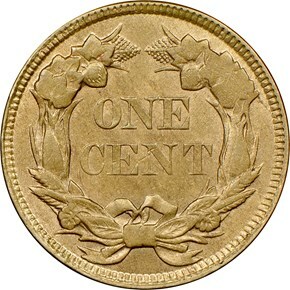 These IDs are a simple organization of all coins prior to variety attribution and grading. The first emission of cents for 1858 featured obverse dies taken from the hub Type of 1857 having Large Letters. This variety is easily recognized by the fact that letters AM of AMERICA touch at their bases. There is not much distinction in availability between this variety and that having Small Letters. Values and populations are fairly similar, and both varieties are readily obtainable. Use the scroll bar at the bottom of this box to view a summary of the NGC Price Guide, NGC Census, Auction Prices Realized and NGC Registry Scores for each grade. There was no data found for this Coin. Click on a price to see historical prices, comparison charts and trends. A random selection of coins is shown below. 11/9/2009 — Spark erosion counterfeit coins aren't made very frequently anymore because they are easy to spot once you learn how. 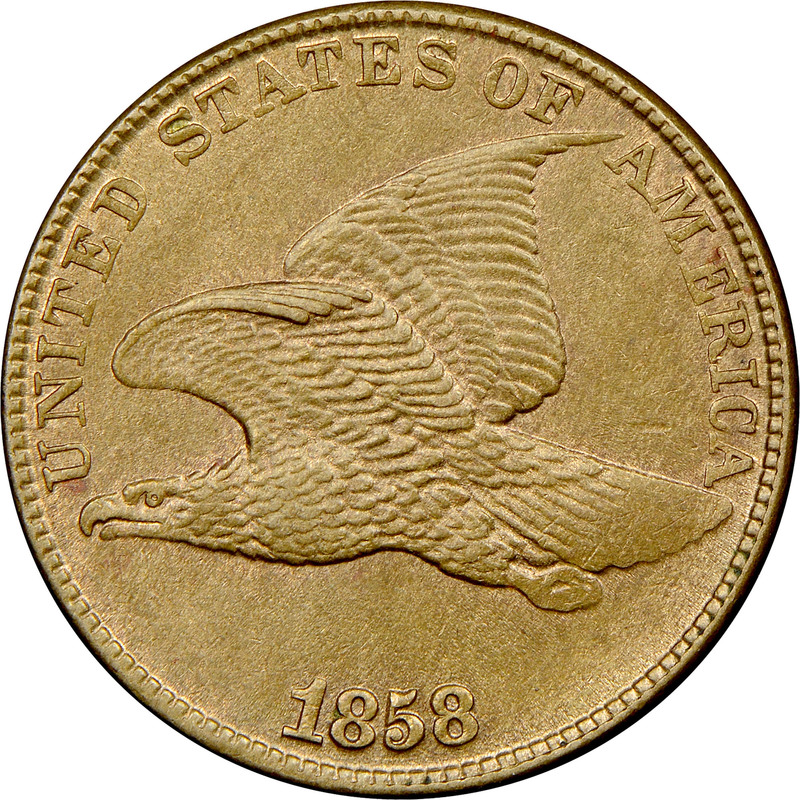 This 1858 Flying Eagle Cent submitted to NGC for grading and authentication is a perfect example for study.